Dutch Coaching or Total Soccer is a coaching method that uses small-sided games as a method of teaching players to be well rounded to fill any position on the field. This style of coaching uses the theory of tactical soccer in which any player can play any position, thus when a player moves out of their position, they are then replaced by another player to retain the team’s organizational structure. When a player moves out of their position, they create space for another, which opens up many opportunities for the team. 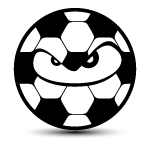 With Total Soccer, no player is fixed to a specific role; each player can be successful as an attacker, midfielder or defender.